Adoration of the Holy Eucharist: People commit to one hour of prayer each week before the Blessed Sacrament in the Chapel. Read more about Eucharistic Adoration, then contact Rob and Jeanne Van Drasek at 763-497-5886 or vandrasekr@hotmail.com. Elizabeth Ministry: Scripturally based in the relationship between the Blessed Virgin Mary and her cousin, Elizabeth ministers become mentors to women in the parish who are expecting a child or in the adoption process through personal visits, mail and telephone contact. They also minister to couples with infertility or families that have experienced miscarriages. Contact Sue Berning at 763-497-2139 or elizabethministries@stmcatholicchurch.org. Grief Support: These are people who have suffered a loss through death at many different levels. We laugh, we cry, we listen, and we are there to support individuals during their most difficult time. One group meets the first Wednesday of the month at 8:30 a.m. in a classroom in the lower level of the church, and once a month gathers together for breakfast at one of the local restaurants. Another group meets following the Saturday morning Mass in a classroom in the church lower level. Contact Deacon Greg Steele at 763-263-2450 or gsteele@stmcatholicchurch.org. Prayer Line: People on the prayer line are asked to pray for someone as requests come in through a short phone call. You then call the next person on the list and give them the prayer request. All requests need to stay confidential. Contact Rita Bruner at 763-497-2547 or Theresa Bistodeau at 763-497-2861. Prayer Ministry: The prayer ministry team is composed of parishioners gifted in praying for the release of the Holy Spirit, intercessory prayer, words of knowledge and praying for spiritual, emotional and physical healing. It is available to parishioners on the second Sunday of the month after the 8 a.m. and 10:30 a.m. Masses as well as the second and fourth Tuesday’s of the month after the 6:30 p.m. Mass. Contact Mary Vandal at 763-228-8288 or mbvandal@aol.com, or Jerry & Karen Polaschek at 763-497-2116, or jerrypolaschek@embarqmail.com. Rosary Leaders: Individuals lead parishioners in the rosary one or two times per month. The rosary is said before Tuesday Mass and after all other weekday Masses, before the 5 p.m. Mass on Saturday and before the 8:30 a.m. Mass on Sunday. Contact Peggy Steinert at 612-644-4088 or peggy.steinert@gmail.com. Separated & Divorced Support: This is a weekly support group that consists of people who understand how you feel and have a real concern for individuals who are experiencing separation and divorce. This ministry is non-denominational and features biblical teaching for recovering from divorce and separation. Divorce Care is a 13-week program, but you are encouraged to go through the program more than once because so much more can be learned by repetition. We meet every Thursday from 6:30 to 8:30 p.m. in the choir room, located in the lower level of the church. Contact Deacon Greg Steele at 763-263-2450 or gsteele@stmcatholicchurch.org, or Rene Blaeser at 763-442-4024 or rmblaeser@gmail.com. Altar and Sanctuary Cleaners: This group cleans and dusts the statutes and vigil lights, the main altar area and the baptismal font each week. Rotation is about once a month. Contact Marion Robeck at 763-497-5181. Bulletin Stuffers and Office Helpers: These volunteers are called in for special projects. Typical jobs are helping to prepare bulk mailings and stuffing the Sunday bulletin with additional information. 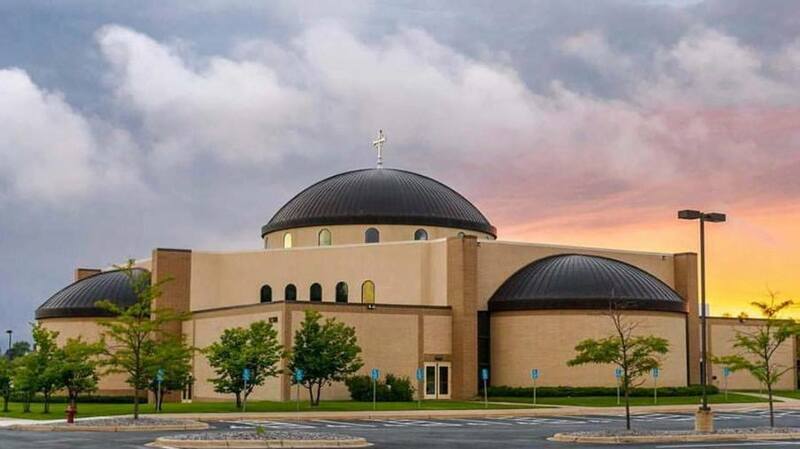 We also look to parishioners to help with various organizational or clerical projects. Contact Barb Tummel at 763-497-2745 ext. 241 or bulletineditor@stmcatholicchurch.org. EMHC to the Homebound: Homebound parishioners are offered the opportunity to receive Communion on a weekly basis, typically a Friday. Homebound Communion distributors need to be commissioned as an EMHC, have their own car, and go to the parishioner’s home to distribute Holy Communion. Contact LeAnne Martin at 763-497-4130 or elmartin1977@hotmail.com. Fall Festival Planning Committee: The Fall Festival is the largest parish fundraiser. The Fall Festival Planning Committee coordinates this event which happens annually in September. Families are assigned to a group when they register with the parish. Their group number determines what area they are assigned to help with at the Festival. Groups rotate responsibilities every year. Contact John Bonham at 763-497-2745 ext. 212 or jbonham@stmcatholicchurch.org. Funeral Luncheon Support: Funeral luncheons are usually held immediately following the funeral Mass. Parishioners are called before a funeral and asked to provide a salad or dessert. On the day of the funeral, you may help prepare the meal, set up and clean up. Contact Patty Fischer at 763-477-5444 or Cindy Woitalla at 763-497-2745 ext. 232 or cwoitalla@stmcatholicchurch.org. Hospitality Weekend Support: Coffee, juice and rolls are served after the Sunday morning Masses, typically the third Sunday of the month, to provide fellowship among parishioners. Contact Debra Gillach at 763-742-2198 or debgillach@gmail.com, or Patty Washatka at 612-220-6671 or patricia.washatka@gmail.com. New Member Connections: Help to welcome new members, answer their questions about the parish, and provide them with an opportunity to meet and get to know “veteran” members of the parish. Contact Barb Tummel at 763-497-2745 ext. 241 or bulletineditor@stmcatholicchurch.org. Offering Counters: Parishioner envelope contributions and plate offerings are counted and deposited. Time commitment is one time per month meeting at the bank. All information is kept strictly confidential. Contact Barb Tummel at 763-497-2745 ext. 241 or bulletineditor@stmcatholicchurch.org.